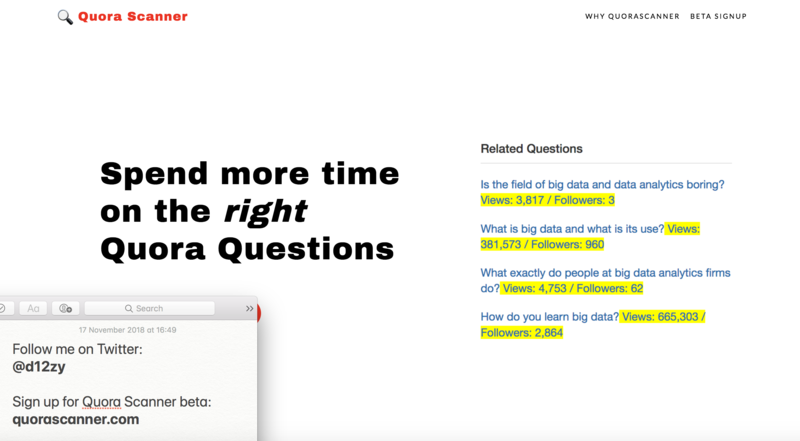 🚀Exponentially grow your Quora traffic by finding the best questions! 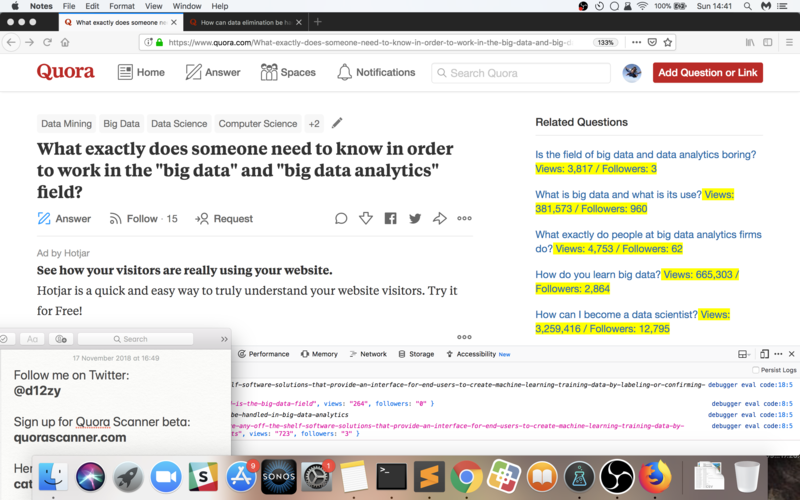 As an Indie Hacker I have been using Quora to grow my site traffic without cost but the process of figuring out which questions are best to answer (based on follower count or hits) is terribly manual. I'm creating a tool to automate that process and highlight which questions marketers should answer to grow their traffic.